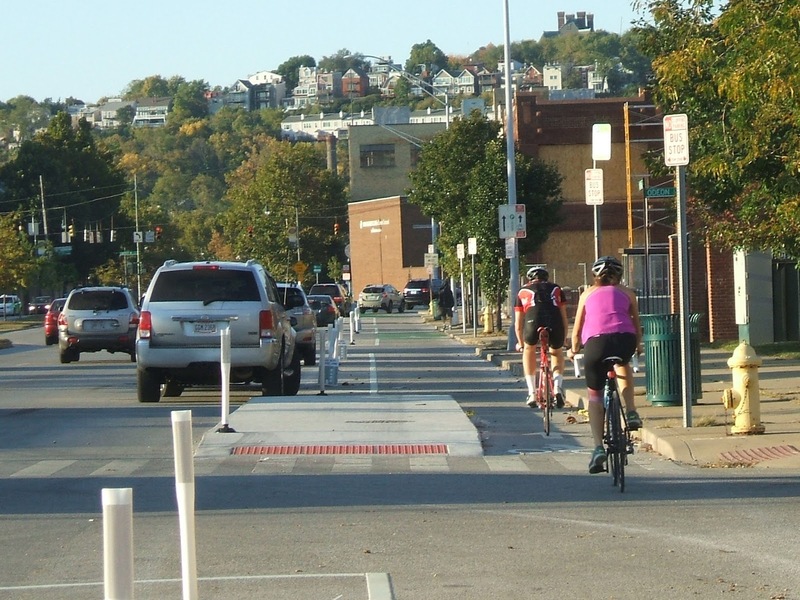 In the last several years Cincinnati has become a draw to urbanites who prefer not to own cars. 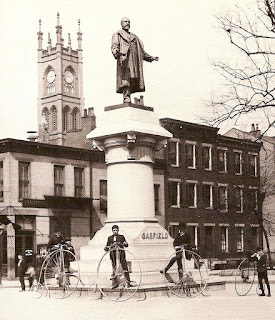 The mission of the City of Cincinnati Bicycle Transportation Program is to make bicycling an integral part of daily life in Cincinnati, so that persons of all ages and abilities utilize bicycles for all types of trips. 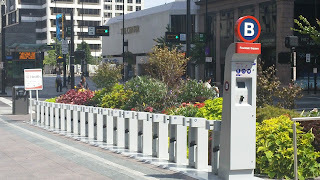 The City works toward this goal by planning, engineering, and implementing bicycle facilities, and by educating the community about bicycle transportation. 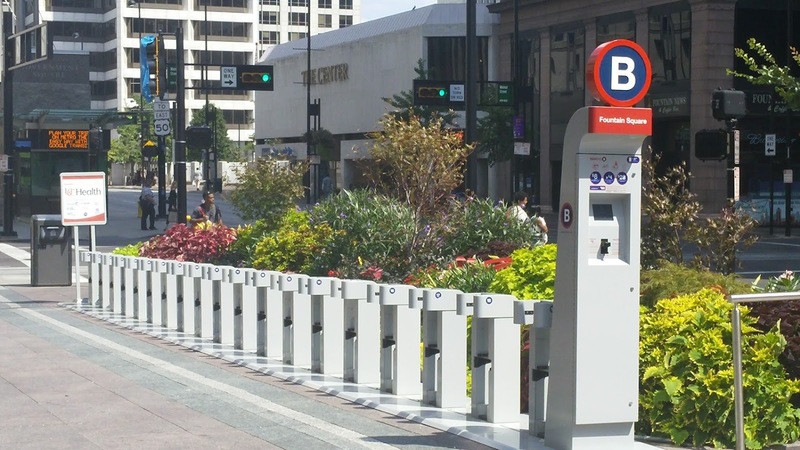 The Bicycle Program has successfully implemented many projects, including striping 23 miles of bicycle lanes, installing over 450 bike racks, creating 20 miles of shared-use paths/trails, upgrading 231 miles of streets with bike friendly stormwater inlets, and installing 5 miles of shared lane markings, or "sharrows." 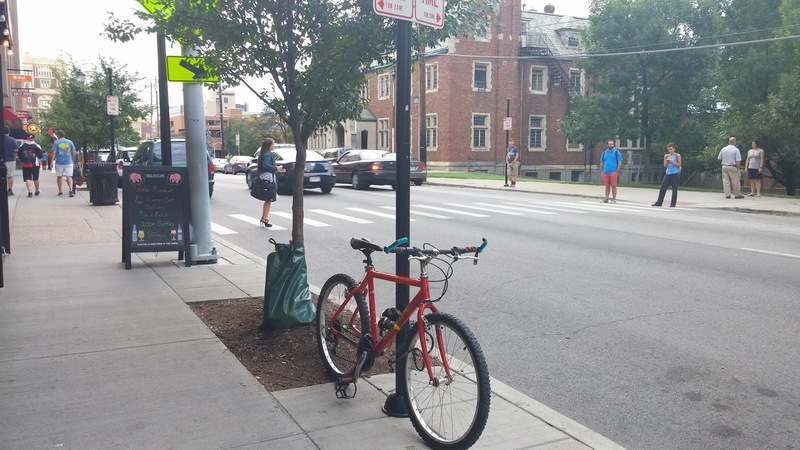 The plan recommends 445 miles of on-street and off-street facilities, to be implemented in three phases over 15 years. The on-street Bicycle Network is comprised of striped bicycle lanes, shared lane markings and other on-street facilities. 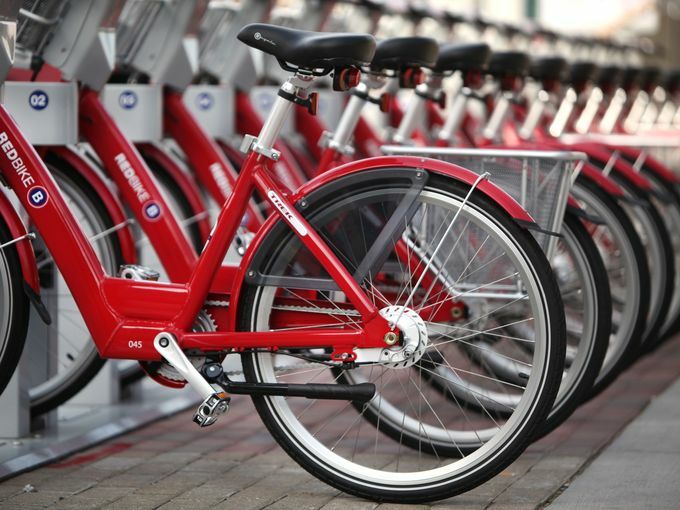 The off-street Bicycle Network is comprised of shared use paths (multi-use trails), sidewalks designated for bicycle use, potential rail-with-trail corridors and connector paths. • Phase III: 2021-2025 (176 miles). 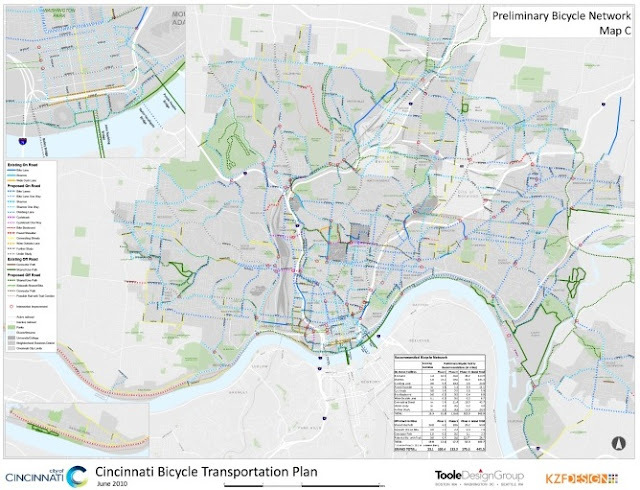 It is only fitting that Cincinnati become a cycling mecca. 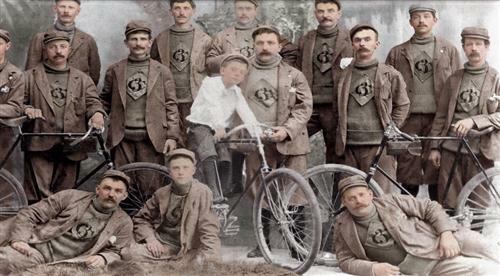 The Cincinnati Cycle Club is the oldest cycling club in the region. 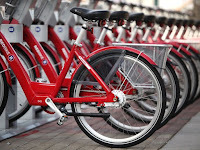 I was on Fountain Square, the heart of Cincinnati, this past Sunday and there was not a Red Bike to be had. 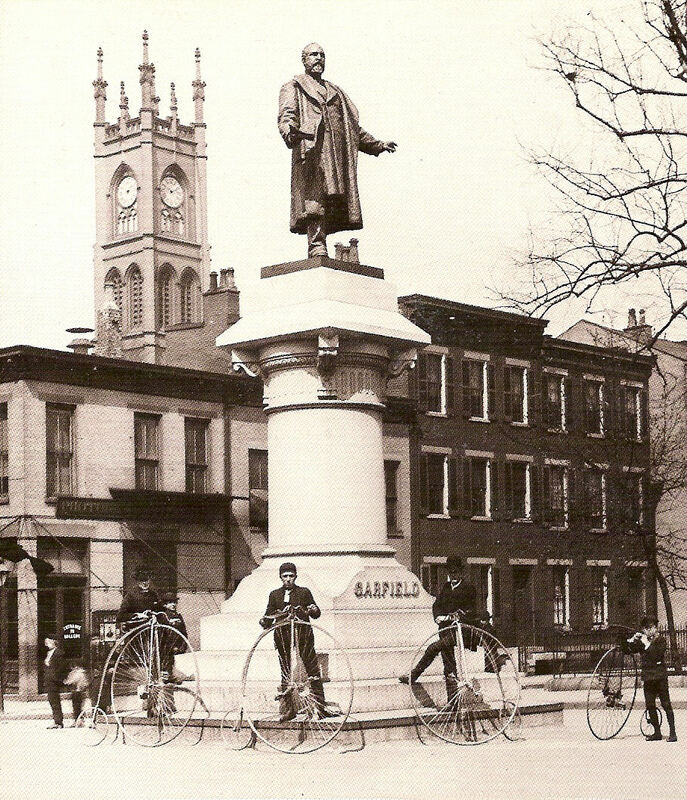 The bikes have become a popular mode of transportation for locals and visitors alike. 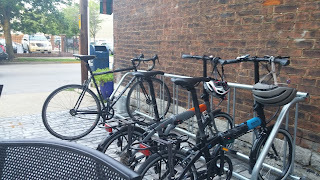 I was having dinner in the Clifton area near the University of Cincinnati on a Tuesday night and saw several peddle-pushers riding past and more bikes parked outside of establishments. 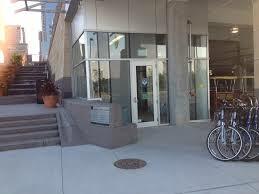 and the new Bike Center by the river makes it attractive for bike commuters to ride to work and park their bike in a safe, secure location equipped with lockers and showers. Yes, Cincinnati is fast becoming a sustainable city and The Reluctant Cyclist is going to be in the middle of it. 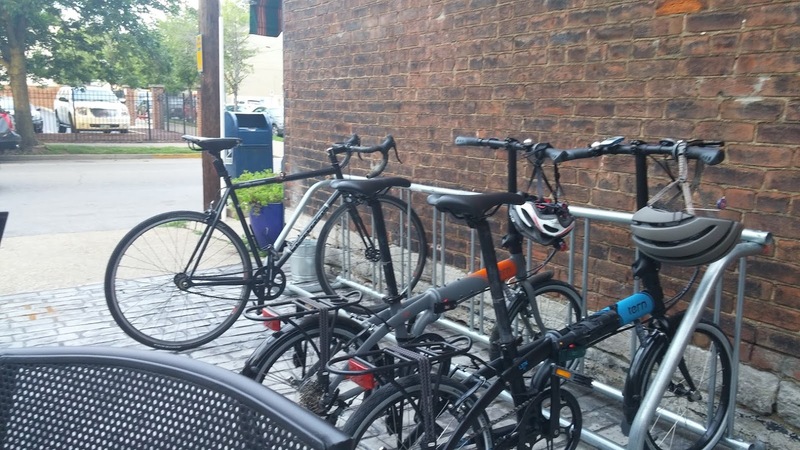 Follow my page for future posts about Cincinnati's bike community. Exciting times are ahead.